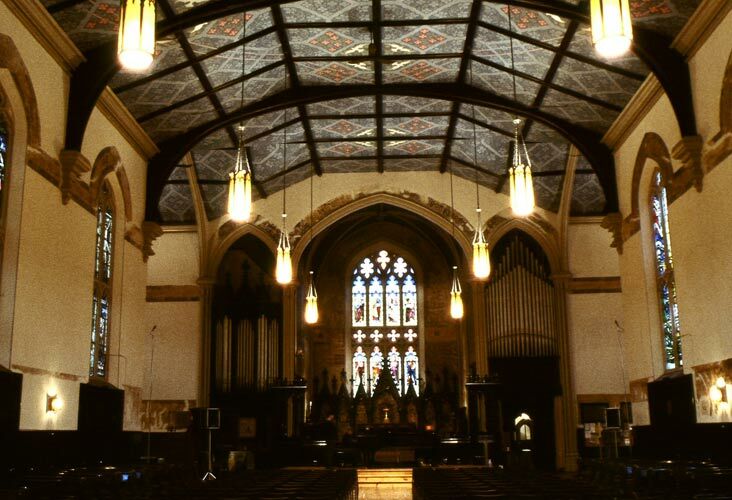 This historic (1847) church in the heart of downtown was threatened with disestablishment by the Diocese and expropriation by the municipality in order to clear the site for the new Toronto Eaton Centre. The church resisted these pressures, saying the reasons why Eaton’s wanted the site were the same as the reasons why the church wanted to stay – to be at the heart of things. To counter this threat we prepared an alternate development plan for the entire block, setting the church in a mid-block pedestrian precinct defined by relocating two historic houses. After a lot of discussion this plan was agreed on, and a three-way land swap between the church, the developer, and the City ensued. 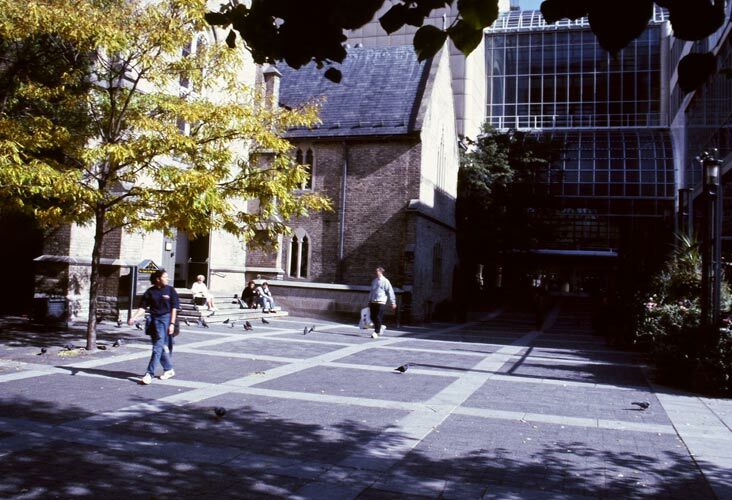 This created a network of pedestrian spaces around the church, secured three heritage properties, and yielded sufficient funds to restore the church and support its ministry of Justice. 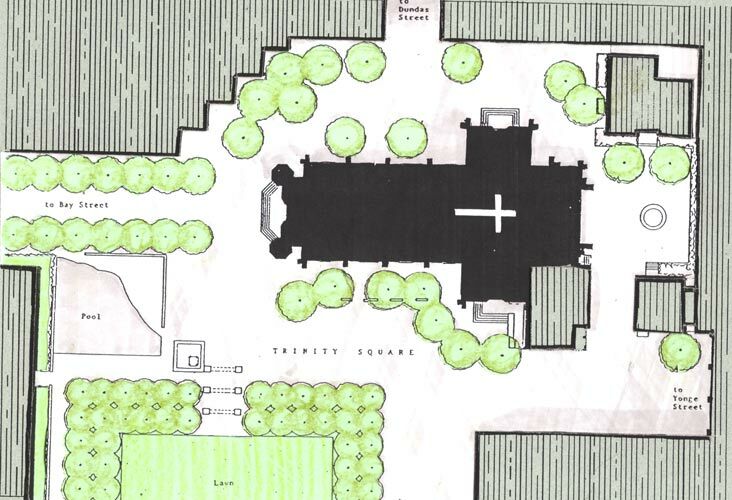 Site Plan, showing a new public square replacing the original churchyard, with pedestrian entrances secured from the north south, east, and west, and two historic houses relocated to create between them an intimate sitting area. 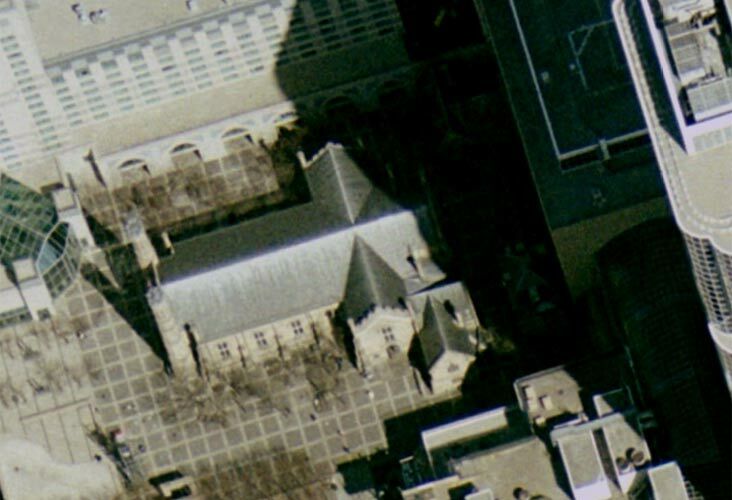 Aerial view showing the church and its pedestrian precinct nestled in the heart of the commercial downtown core. South transept of the church at the entrance to the Toronto Eaton Centre and facing the new public park. A fire during construction of the Toronto Eaton Centre damaged the roof of the church. 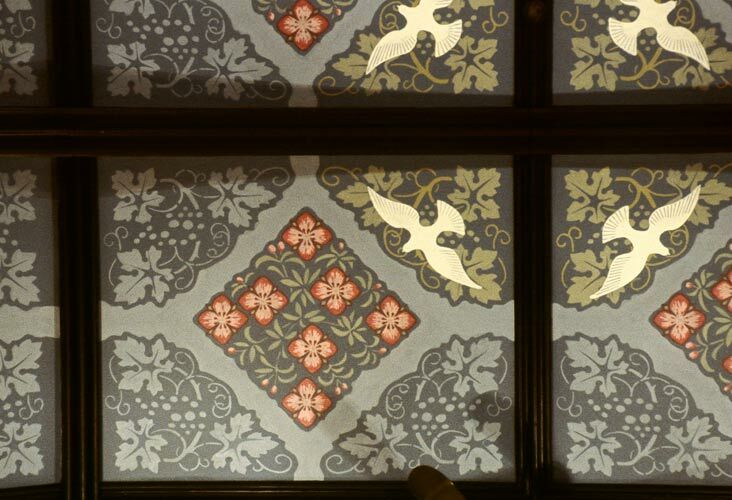 We designed a new stencilled ceiling to replace the one destroyed in the fire. The painting was done from a 40-foot scaffold by members of the congregation. "What�s a nice church like you doing in the development business?"